Will “Black Jack” Christian, aka: Ed Williams, 202 (1871-1897) – Leader of a gang of robbers called the High Fives Gang, he and his brother older brother Bob would roam Oklahoma, New Mexico, and Arizona where they robbed banks, trains, and stagecoaches in earnest. William, Jr. was born William Christian, in Fort Griffin, Texas, in 1871, the son of William, Sr. and Sallie Christian. William Christian, Sr, a Kentuckian, was an early settler of the area after the Civil War. Later he moved the family to a homestead in Baylor County. 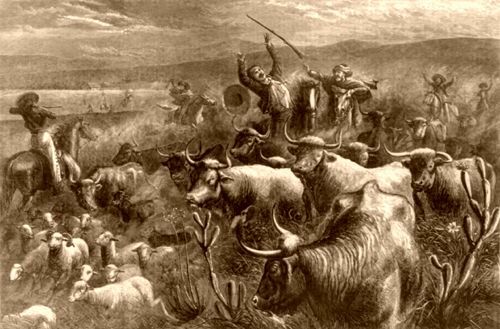 In about 1883, the Christians moved again, into the Texas Panhandle and shortly after the 1891 Oklahoma Landrush, the family appeared in Pottawatomie County, taking residence on the Little River south of Tecumseh. In Oklahoma, Will and his older brother Bob were part of a gang of small-time thieves and whiskey peddlers. On April 27, 1895, Deputy Sheriff Will Turner was searching for Bob Christian, with a warrant for his arrest for grand larceny. He located him near the town of Violet Springs, one of the most lawless border towns in Oklahoma Territory. 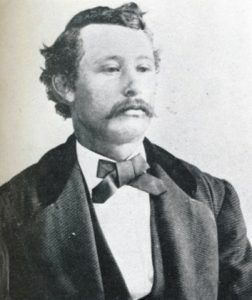 Bob was with three other men, including his brother Will Christian, “Buttermilk” John Mackey and Foster Holbrook. Confronting all four men, Bob Christian told Turner to keep his warrant and drew his gun. Turner was able to fire first and hit Christian in the chest, which only knocked him down because Christian was wearing a steel vest plate. All four men then opened fire on the deputy, killing him. All four were tracked down and arrested. Following their trials, Holbrook was acquitted, Mackey was sentenced to two years and the two Christian brothers both received 10-year sentences. However, while Bob and Will were in the Oklahoma County jail appealing their cases, on June 30, 1895, the brothers overpowered the jailer after pistols had been smuggled to them. Escaping along with two other men, they attempted to commandeer a wagon. When Oklahoma City Police Chief Milton Jones arrived, gunfire was exchanged, and Jones, along with one escapee, were killed. The brothers then headed to New Mexico and Arizona where they began to rustle cattle, rob banks, trains, and stagecoaches. Will quickly earned the nickname “202” due to his large frame. However, he soon became better known as “Black Jack” due to his dark complexion. While in the southwest, the brothers organized the High Fives Gang, named after a favorite card game at the time. In addition to Black Jack and his older brother Bob, the gang also included Bob Hayes, George West Musgrave, and Code Young. On August 6, 1896, the High Fives Gang attempted to rob the International Bank in Nogales, Arizona. Bob Christian and Code Young remained outside with the horses while Bob Hayes, George Musgrave and Will “Black Jack” Christian entered the bank. However, it didn’t go as planned. Once inside the bank, Will Christian pointed his gun at the cashier while Musgrave circled the counter and held the bank president at gunpoint. As the cashier stuffed the money into the bag that Black Jack had given him, the bank president suddenly made a break for the door and the in the confusion, the cashier grabbed his pistol from beneath the counter and shot Musgrave in the knee. In the meantime, Black Jack Christian retrieved the bag of money but dropped it as he ran through the front door. While the robbery was in progress, a newspaperman named Frank King spotted the bandits and opened fire with a .41 Colt. Though he missed the outlaws, he hit two of their horses as the gang galloped out of town. Soon, a posse was on their tail by a posse led by Deputy Sheriff Bob Leatherwood of Tucson. The officers caught up with some of the gang members near Skeleton Canyon on August 12, 1896. Christian and his gang turned on their pursuers and a sharp fight erupted, in which, Deputy Frank Robson was killed. The gang then fled, slipping across the border into Sonora, near the San Antonio Pass in the Patagonia Mountains. The pursuit continued as some of the gang members resurfaced but the lawmen did not catch up with them. On November 18, 1896, an 8-man posse caught up with some of the men at the Diamond A Ranch in the San Simon Valley of southwest New Mexico. One morning the bandits left camp and when they returned the posse was waiting. Christian spotted the posse and a gun battle broke out. Christian and Hayes had their horses killed, but both jumped free and kept firing. Moments later, however, Hayes was killed by lawman Fred Higgins. Black Jack Christian and Musgrove escaped. On April 28, 1897, a five-man posse tracked several of the fugitives to a gorge near Clifton, Arizona. When the lawmen set up an ambush, a gunfight ensued and Christian was hit in the side and fell out of the saddle, as the other outlaws galloped away. Believing the outlaws to be long gone, the lawmen retired to nearby Clifton. Later that afternoon a dying man was discovered by a freighter named Bert Farmer. It was Black Jack Christian who was conscious but fading fast, painfully moaning: “Some fellows shot me this morning.” Shortly afterward, he died and Farmer hauled his body back to town atop a lumber wagon and placed it on display. The small canyon where the ambush took place is now locally known as Black Jack Canyon. Nash, Robert; Encyclopedia of Western Lawmen & Outlaws; Da Capo Press, 1994. O’Neal, Bill; Encyclopedia of Western Gunfighters. University of Oklahoma Press, 1991. Shirley, Glen; West of Hell’s Fringe: Crime, Criminals, and the Federal Peace Officer in Oklahoma Territory; University of Oklahoma Press, 1990.